From the time we opened our doors as a licensee for Thrifty Rent-A-Car in 1967, we offered vehicle leasing as an additional service to compliment our rental business. Whether it is the family car or a fleet of commercial trucks, give us the chance to show how we can provide a superior level of service and flexibility. We select the best financing source that provides the flexibility to structure an attractive lease program for you. We can offer leases to fit your needs and at terms from one to 6 years for personal or business leases. We have access to hundreds of “home grown” vehicles from our Thrifty Rental Fleet. Our used vehicles provide an economical alternative for businesses that need additional or replacement vehicles. Full service leasing provides the ideal solution for the customer who wants to stay involved and directly control his distribution system, but doesn’t want to handle the day-to-day operational problems and unexpected costs associated with maintaining the vehicles. We provide the vehicle, maintenance, repairs, tires, fuel, licensing, road service, washing and substitute vehicles whenever your leased vehicle is out of service. We offer full service leasing for passenger cars, light duty trucks, as well as medium and heavy-duty trucks and trailers. A timely preventative maintenance program helps reduce cost per mile improves driver safety and vehicle performance. 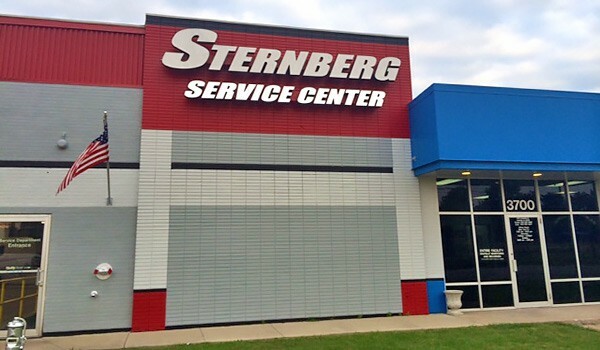 Our service department can tailor a program that is designed to work around your scheduled use and help lower the cost of operating your vehicles.